Water and energy saving technology is available on a wide selection of Hansgrohe shower heads and basin mixers and uses up to 60% less water than conventional products. This significant water saving is made possible without lessening the user experience as German manufactured EcoSmart technology mixes air into the water to produce a powerful flow and pressure; that means you can have a great shower without using unnecessary water. Using less water also means using less energy to heat the water, so EcoSmart also delivers valuable energy savings. Conventional showers can often run at 15-20 litres per minute, sometimes even more, whereas Hansgrohe EcoSmart shower heads use only 6 or 9 litres per minute reducing water consumption by up to 60%. EcoSmart showers adapts to different water pressure; if the pressure is high the water opening will become smaller and expand in lower pressure. A full range of shower head designs is available to suit any style of bathroom including handheld, fixed and rain head options. Whereas the central position on standard mixers immediately activates mixed water (both hot and cold), Hansgrohe’s CoolStart technology means that only cold water will flow out when set to the middle position. It is a simple innovation but one missed by manufacturers of standard taps. In CoolStart mixers the piping system does not fill up unnecessarily with hot water and it is only when you move the lever to the left that hot water is added. You decide how high the temperature needs to be, hot water will flow only when you need it. CoolStart reduces energy consumption and hence CO2 emissions as well, meaning that Hansgrohe’s latest technology automatically reduces the burden on both the environment and your wallet. Select technology from Hansgrohe allows you to control the water flow with just a click of the button. Hansgrohe was one of the first companies in the sector to introduce this innovative facility, that gave people a greater level of control over their shower experience. The Select function means that there is no need to turn the shower head in mid-flow – one click and you can switch between hand and overhead shower, or between soft shower rain and an invigorating burst of freshness: the Select button guarantees simplicity day in, day out. Hansgrohe’s deserved world-leading reputation for excellent and innovative technology is embodied in the Select button which features a timelessly modern bathroom design and is be a real eye-catcher in the shower area. AirPower technology increases showering pleasure and reduces the requirement for water. Hansgrohe innovators have invented ground-breaking technology that means taps and showers will use less water without compromising on performance. The principle is simple: an ample supply of air is sucked in via the spray disc of an AirPower shower. This infiltrates the incoming water. Enriched with air to the extent that the droplets become plumper, lighter and softer. You will be using valuable water efficiently. Because every drop counts. AirPower shower rain envelopes the whole body, creating a wonderful sense of well-being. You can also indulge in a massage with the multi-jet models: the powerful stream has a noticeably relaxing effect. And as well as more shower fun, there will be less requirement for water. Hansgrohe mixers with the “ComfortZone” feature guarantee comfort and convenience at the wash basin or kitchen sink. The models are of a generous size, their technology and construction are elaborate and their design outstanding. You can choose from a range of taps with differing spout heights that ensue you have greater freedom of movement for whatever task. ComfortZone makes life simpler when, for example, washing your hair at the wash basin or filling up tall containers at the kitchen sink. Hansgrohe has tested more than 12,000 combinations to find the best range of heights and the number of millimetres in the name of the taps indicates the ComfortZone, offering you the most convenience for your everyday routine. So you can see at a glance which tap height best suits your needs – and your wash basin or sink design. The large ComfortZones provide lots of extra space. Hansgrohe offers overhead showers with stunning extra-large spray discs that make the shower experience even more enjoyable. Hansgrohe’s unique expertise and design experience ensure that these rain showers have heads that measure up to 600 mm in diameter that provide a wonderful distribution of water spray and are lavish in terms of comfort. They really make an impact in modern bathrooms with their clear-cut design and space-creating character – and are also setting trends in the project business. Not only do these extra-large spray disc dispense water beautifully over the body, they are also attractive from an ecological point of view: in the EcoSmart variants, they consume only 9 litres per minute. The fun of “showering large” and water efficiency therefore go hand in hand at Hansgrohe. The problem of blocked and poorly functioning shower heads is a thing of the past with QuickClean. Mixers and showers are worked hard in most settings and have to cope with a range of challenges from hard water and dirt to many types of cleaning agents – all of which can affect performance. The experienced technologists at Hansgrohe have developed a fast anti-limescale function and with QuickClean a simple quick and gentle wipe with thumb, finger or cloth will rub off deposits in an instant. Trouble-free and optimum water flow is maintained. That’s because Hansgrohe has fitted its mixer aerators and shower jets with flexible silicon naps. So dirt and limescale can be rubbed off easily with no need for prolonged or vigorous rubbing. And that means products stay limescale-free, look good and well maintained as well as working better for longer. Need advice from our Hansgrohe specialists? 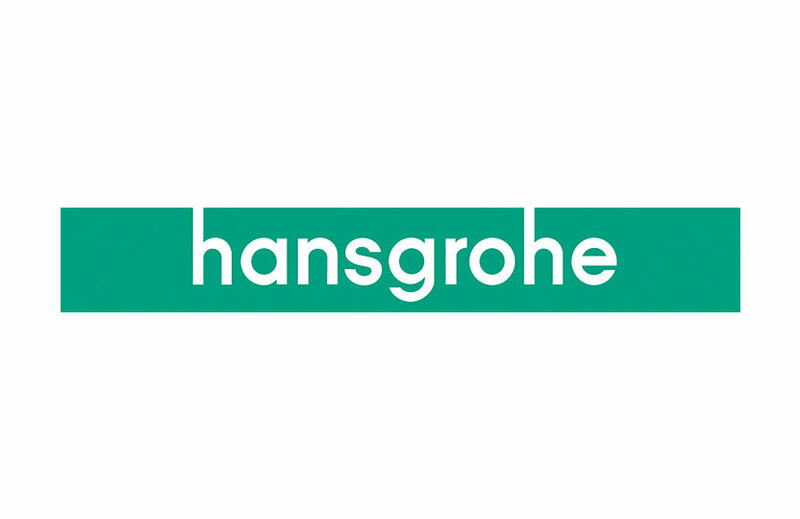 Hansgrohe products are the perfect solution to reducing your buildings water and energy costs. Click on the links below to find specific information relating to your building type.